A reporter finally questions Title Insurance! 95% profit vs 30% for most other types of insurance? news articles, but this is the first that I have read that showed some actual stats and questioned Title Insurance. Too bad it was a nationwide article so it wasn’t able to address Virginia specific matters like the required Lenders Title vs the Optional Owner’s Title policy (Va specific). Owner’s Title Insurance.95% Buy It, 10% Know Why! “The American Land Title Association defends the $17 billion industry…” and it goes on to give ONE completely random example of ONE family that benefited from the insurance. “Industry experts say only about 4 to 6 percent of title insurance premiums are paid out to satisfy claims. That’s much lower than the 70 percent-plus rate typical of other lines of property and casualty insurance.” Translation: Most insurance is only 30% profit. This insurance is 95% profit. With so little going out to pay claims, is the risk/reward worth it? Again, this isn’t a recommendation, just food for thought. So if only 5% goes to pay claims, that either means that a) the frequency is so tiny (like catching the plague) or b) the claims are so tiny that you might be better off waiting for that 1% chance of a claim and paying the lawyers to fix it then. $1,000 is a lot of money. If only $50 (5%) is actually used to pay the average claim, that seems like a rip off. This is an insurance you only pay for when you purchase a home or refinance. It’s not like auto insurance (or worse) home owners insurance, where you pay forever and then are penalized for using it. Add up how much you pay in your lifetime for auto, home and title insurance and THEN make a comparison. When there are claims with title insurance, there are significant…usually involving vesting issues. In Washington State, if you’re using a title company’s escrow division, they pay out “claims” on that as well. Hello and thank you for your comment. I wish you had left your name so we could start a conversation. Whether something is paid out once or annually shouldn’t matter. SO if title insurance was $10,000 for a $500k house, that would be ok? The question is value. In Virginia it runs about $1,000. However in Pennsylvania it runs $250 (correct me if I’m wrong). As for your recommendation of adding up things like Auto etc. That is a perfect example. Over a 10 year period lets say you put in $1,000 a year or $10,000 total. The difference is that the average pay out on claims is $7,000. (based on the 70% number in the article). That sounds about right to me, I will probably get into 1 or 2 small accidents in 10 years. Probably over a 50/50 chance of that happening. So you might only pay the $1,000 one time, but if the average payout is $50, how much real insurance are you getting? I frequently hear the “when there are claims” excuse. I just want somebody to show HOW OFTEN. When there is terrorism in the US it is horrible, but who is buying terrorism insurance? One agent in Georgia found that it is more likely that you will be struck by lightening then need Title Insurance for a total loss claim. So why not buy lightening prevention insurance? People deserve to know the frequency of claims for a total loss. If there is only one per year nationwide I don’t think anybody would buy it. If it was 5%, I think many would. But we don’t know. Instead everyone justs get scared into it. Also it is sold as being the “end all” policy that covers you no matter what? I wish I had the name of the lady that told me she had to sue the title company to actually pay out. Have you seen the recent State Farm lawsuit with Katrina? Apparently people with insurance that covered wind were denied as they said the home ruined first due to rain. 1) the “missing heir” scenario in the WP article is highly unlikely; mechanics liens & unpaid taxes/assessments are not. 2) I don’t know the title insurance industry sets its reserves, but I will guess tht the major portion losses paid (and consequently premiums charged) goes to fraud; i.e the closing attorney or escrow co. pres. spends the closing proceeds in Vegas instead of paying off the seller’s mortgage. Or where mortgage docs or releases are forged (cases like these recently occurred in NY & CT). Just as a portion of your car insurance premium reflects overall claims, no matter how good of a driver you are, title premiums reflect the whole universe of claims. As a side note, state govt’s that regulate rates really don’t save consumers money; they simply remove price competition. Frank, I tried to return my policy. They instead refunded me $300. My curiosity got me wondering why is Title insurance so much and is this all required, what can I do here to cut costs. Then I researched and found your site. which has a wealth of information on the blog – most of the information there is accurate or true putting figure facts aside. People guessing or having a good assumption on this. So I wanted to make sure and confirm – mostly about the closing attorney getting a commission and then how much! BECAUSE, this is the last thing they will tell you – if they even tell you this!! 2/Its already included in the closing costs for you! What I’d like to research about this further is the difference between Basic and Premium coverage (Owners Policy). If this applies in Massachusetts and what the difference is. My assumption is a lesser commission to the Attorney for Basic. The Washington Post article says the title insurance industry is a $17B one. What I want to know is what the yearly total payout come to. I believe the problem isn’t (or shouldn’t be) whether or not to get it, rather it should be whether there will be intervention (ie, Federal) to ensure there isn’t consumer gouging. Insurance companies need to profit, but it shouldn’t be a cash-cow. Does anyone have numbers on the yearly claims in terms of dollars? and search for the A. M. Best report. It’s all in there. I just heard a great story from an attorney. She had a buyer that had a problematic settlement (loan issues) and her buyer ended up just buying the home with $1.5M in CASH. Anyhow, the closing company was annoyed by all the re-paperwork. When the closing company returned with the paperwork and heard that the buyer was refusing the optional owners title insurance, the closing company rep slammed the papers down and ran out of the room. Somebody else had to conduct closing. It shows you that closing company “fees” are really a LOSS leader. Their profits are in the title insurance 80% margins. I’m not saying not to get it, I’m just saying that the person telling you to get it wants to not lose money on you. Great blog. We just closed recently in Maryland and we opted out of the owners insurance policy. We had already made the decision before we got there that we were not going to get it. btw, No where on the HUD drafts or in their letters to us did it say the owners policy was optional. We were appalled because after we told the closing attorney that we did not want it, her whole demeanor changed. Then, our real estate agent asked her to explain the policy again and she proceeded to tell us that she does about 2,000 closings a year, and only 5 people do not get the policy. Also, she takes care of “so many claims in her office on a daily basis” Then, she proceeded said “we have to let you know this information because I don’t want to get sued by you. I don’t want to get a letter that you guys are suing us.” At that point, the sellers looked concerned and said “this doesn’t effect us, right?” She turned to them and said “No, they would sue you too. They would sue all the previous owners.” The sellers looked scared and it made us feel guilty, but we stuck to the decision we made before we got there. We felt the whole experience was unprofessional (she later made a snide comment about us too under her breathe) since we had never been to a closing before, we werent sure if it was typical. It would have been nice if she had told us it was optional, given us the pros and the cons, and not told the sellers that we would sue them. It really tainted our otherwise exciting day. How did you know it was Optional? How did you decide it wasn’t needed for you? Also make sure you read part 1, there are some juicy comments there too. Our real estate agent told us it was optional. She told us so that we could do our research and make our own decision. To me it’s so strange that settlement companies DO NOT HAVE to disclose that its optional. I think that buyers should make informed decisions. If you look at our HUD, the owners policy is written in like a mandatory deduction. Kinda sneaky if you ask me. I am new to your sites but have spent several hours reading through many of your posts of the course of the last couple of days. I was directed to your sites by one of your new agents (Jeff Royce). As the owner of a Northern Virginia title company, your post regarding title insurance of course immediately drew my attention. I won't really address the value of title insurance. Others have already said what I might have on that score. I am going to approach the issue from another direction. Believe it not, I, and many other attorney title company owners like me can't stand the fact that we are forced to make our livings basically selling title insurance. What we actually provide are settlement services. You know, that thing that we can't charge more than $200 for. Just to make a living, not a killing, but just a living, that charge would really need to be about $1000 to each party in a settlement transaction, keeping in mind that every one of these transactions spends about a month in our office being worked and reworked by pre-processors, processors, office managers, attorneys, post-closers etc. These are not simple, cookie-cutter transactions. Each one has about a 1000 details that must be right. Get only 999 details right and my company is on the hook for hundreds of thousands of dollars. Believe me, I would much rather have a system in place that paid me based on the services provided rather than a percentage of an insurance premium which is based on the value of the house. I can assure you that the work that goes into settling a $100k dollar condo is at least (and usually more) time consuming than that necessary to close on a $5 million dollar mansion. Finally, imagine a system where, as a Realtor, you worked with a client for months, showed him or her dozens of houses, spent countless hours before and after they found their dream house doing all the things you are supposed to be doing. Then, the day of settlement, they were told that 90% of what you are making on the transaction is "optional." They then look to you for your opinion. You get my point. Not a good position to be in. One more thought to wrap up. If title insurance went away tomorrow, the cost of settlement services would increase by an amount just about equal to the average premium. So, any perceived savings on the title insurance would certainly be eaten up elsewhere without any addition value for the buyer. Just thought I could add another perspective. That is the best response. Finally somebody from a title company had the balls to say what I thought was true all along. I hope I didn’t imply that settlement companies aren’t worth the total money that they are paid. I recognize the details involved and I fight tooth and nail when a seller tries to enforce their K-mart closing company on us (the # of errors is amazing). I also acknowledge that the $200 is a token fee, and the real money is in the title insurance. for what things really are. Now the follow up question is, can you guys say “we only take deals that will buy title insurance?” True title insurance is supposed to be optional, but can that option be made up front, and if the buyer doesn’t want it, then the closing company can decide early on to not take the deal? (otherwise they lose money, and nobody should be forced to lose money). Thanks for being candid. Your reply might be grounds for an entire stand alone post. Did you ever receive the stats that you requested? I wish I had seen Mr. Flanders post earlier, I would have used his settlement company. Let me tell you a bit about my experience. I am about to close on a home and I called a couple local settlement companies to tell them I had chosen a title insurer, but I would like to do the settlement at their office. One lady actually laughed after she figured out at length what I was proposing and said “of course not, didn’t you notice the name title in the name of our company?” (If you email me, I’ll give you the name of her firm). Now I am pretty sure that was a RESPA violation, but as I am not a professional and didn’t want an adversarial experience, I chose not to pursue it. Luckily, the seller had already chosen a title company that assisted them in the short sale, and since I still had contract rights to choose the company, this other company decided to match Entitle Direct’s settlement/escrow/doc prep etc fees ($500 total, $400 for first time buyers) and let me pay just the Title Insurance and Title Search to Entitle. The quote I got, for a non reissue rate, was $65 for lenders insurance, and $465 for owner’s insurance on a just under 200K purchase. I am still not even sure if owner’s insurance is a good deal, and I am considering taking a day off work to do my own title search at the courthouse like the buyer you blogged about, even though I have no experience, it doesn’t seem like it could be that hard. Worst case scenario for the owner though, as explained by my agent, is you lose your equity in the house, because the lender is covered on the lender’s policy, you can’t be out the entire value of the house like you wondered about. So since I am putting the FHA 3.5% on a 200k house, my maximum exposure is 7k, plus the frustration and time of having to search for a different house. It hardly seems worth the risk. Plus, you have another thing on your side, when the title company or insurer does the title search for lender’s policy, they essentially make sure everything is in order so they won’t have to pay out a claim, so that process essentially eliminates most of the risk. It is like they are issuing flood insurance in the Sahara at that point (after a prudent title examination), so why buy insurance against the possibility they screwed up if all the incentives are in line for them not to? Frank, A lot has changed in the title insurance industry since these comments were made, and I was wondering what your thoughts are on title insurance now. I don’t know about the changes, would love an update from you. Maybe a blog post? Good blog but what many people don’t understand is that the Title Policy you purchase is a one time policy over the life you own the property. Title claims are filed 10-20 even 30 years after the policy is paid. There are a number of issues that can occur. On the east coast these “Settlement Companies” are exactly that..not Title Insurance companies. Who gets sued can be the settlement company but many times its the underwriter like Stewart, First American or FNF. Title Companies insure risk and they charge accordingly to the amount of risk that is being purchased. Agreed, a consumer doesn’t have to get Title Insurance at all…but why take the risk or not getting the most coverage possible? Title companies have 10-25% margins on a month over basis…so to suggest that they make massive amounts of money and large margins is not correct. 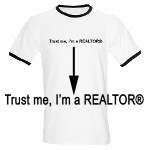 Good content…educational to Realtors and the consumer.